The Alphabet Fluency Test assesses a student's knowledge of letters. You can assign tests that cover lower and upper case letter names and sounds. These tests can be customized down to individual letters, so you can target your assessments based on your students' individual needs. 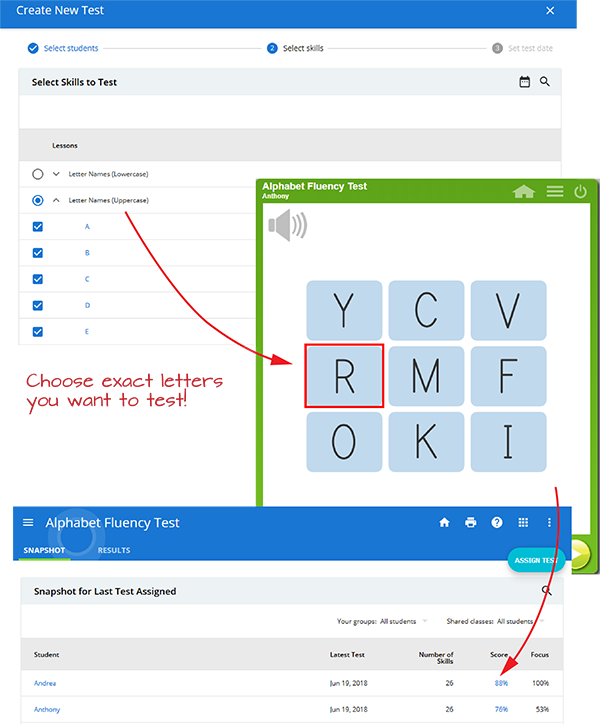 Assign your students an Alphabet Fluency Test today and find out how well they really know their ABCs! 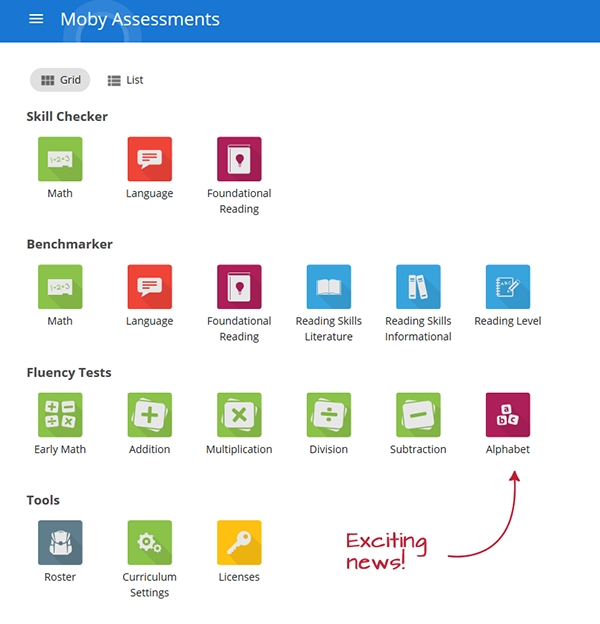 If you'd like to learn more about how Alphabet Fluency Tests fit with our other tools for early learners, just give us a call at (888)793-8331 or email us at support@mobymax.com.